It's one of the first known examples of a successful large-scale hacking operation of mobile phones rather than computers. 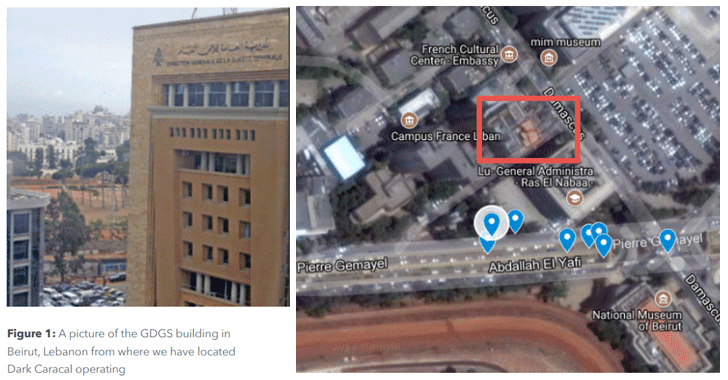 After mistakenly leaking some of its files to the internet, the shadowy hacking group is traced back to a building owned by the Lebanese General Directorate of General Security (GDGS), one of the country's intelligence agencies, in Beirut. "Based on the available evidence, it's likely that the GDGS is associated with or directly supporting the actors behind Dark Caracal," the report reads. According to the 51-page-long report [PDF], the APT group targeted "entities that a nation-state might attack," including governments, military personnel, utilities, financial institutions, manufacturing companies, defence contractors, medical practitioners, education professionals, academics, and civilians from numerous other fields. Researchers also identified at least four different personas associated with Dark Caracal's infrastructure — i.e. 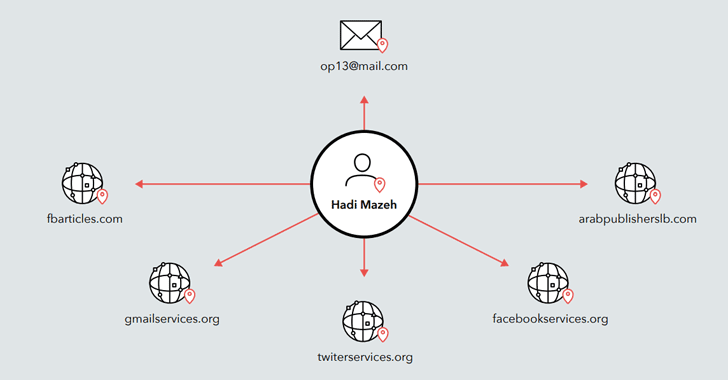 Nancy Razzouk, Hassan Ward, Hadi Mazeh, and Rami Jabbour — with the help of email address op13@mail[.]com. "The contact details for Nancy present in WHOIS information matched the public listing for a Beirut-based individual by that name. When we looked at the phone number associated with Nancy in the WHOIS information, we discovered the same number listed in exfiltrated content and being used by an individual with the name Hassan Ward." "During July 2017, Dark Caracal’s internet service provider took the adobeair[. ]net command and control server offline. Within a matter of days, we observed it being re-registered to the email address op13@mail[. ]com with the name Nancy Razzouk. This allowed us to identify several other domains listed under the same WHOIS email address information, running similar server components. " To get its job done, Dark Caracal did not rely on any "zero-day exploits," nor did it has to get the malware to the Google Play Store. Instead, the group used basic social engineering via posts on Facebook groups and WhatsApp messages, encouraging users to visit a website controlled by the hackers and application permissions. "One of the interesting things about this ongoing attack is that it doesn’t require a sophisticated or expensive exploit. Instead, all Dark Caracal needed was application permissions that users themselves granted when they downloaded the apps, not realizing that they contained malware," said EFF Staff Technologist Cooper Quintin. "This research shows it’s not difficult to create a strategy allowing people and governments to spy on targets around the world." 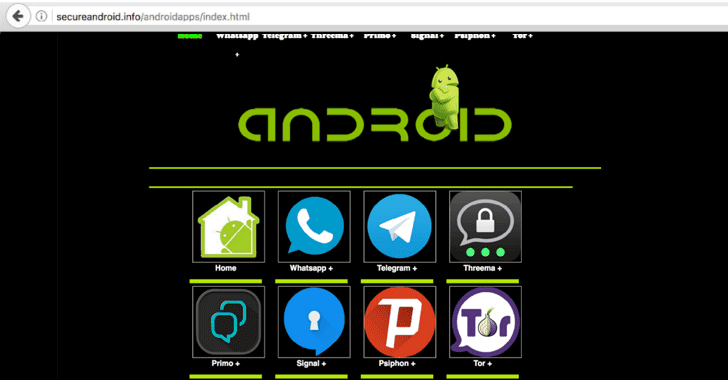 Once tricked into landing on the malicious websites, the victims were served fake updates to secure messenger apps, including WhatsApp, Signal, Threema Telegram, and Orbot (an open source Tor client for Android), which eventually downloaded the Dark Caracal malware, dubbed Pallas, on targets' mobile devices. 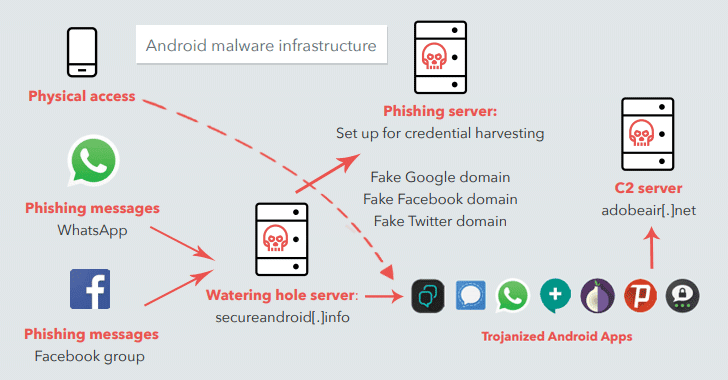 Pallas is a piece of surveillance malware that's capable of taking photographs, stealing data, spying on communications apps, recording video and audio, acquiring location data, and stealing text messages, including two-factor authentication codes, from victims' devices. 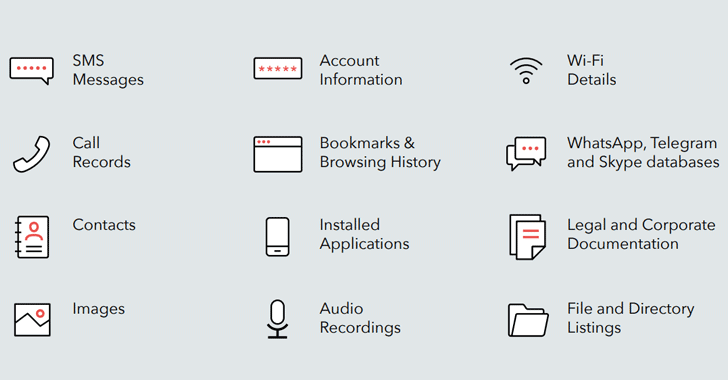 "Pallas samples primarily rely on the permissions granted at the installation in order to access sensitive user data. However, there is functionality that allows an attacker to instruct an infected device to download and install additional applications or updates." report says. "Theoretically, this means it’s possible for the operators behind Pallas to push specific exploit modules to compromised devices in order to gain complete access." "Citizen Lab previously flagged the General Directorate of General Security in a 2015 report as one of two Lebanese government organizations using the FinFisher spyware5." report says.